Growing plants from seed are one of the most economical ways to add plants to your garden. And while growing indoors under lights is a very popular method, there is an even simpler way to grow from seed. Direct sowing is the method of growing your plants from seed sown right in the garden. There is no special equipment, and there are no little pots and flats to mess with. You don't have to worry about transplanting (and the related risk of transplant shock) or hardening your plants off. That's not to say that direct sowing is foolproof, or even the right method for every plant. Plants that require a long growing season won't perform well when direct-sown in cool-weather regions. These include tomatoes, peppers, and eggplants. Plants that require very specific germination conditions are best started indoors. But the majority of seeds for vegetables, herbs, annuals, and perennials can be sown directly in the garden. 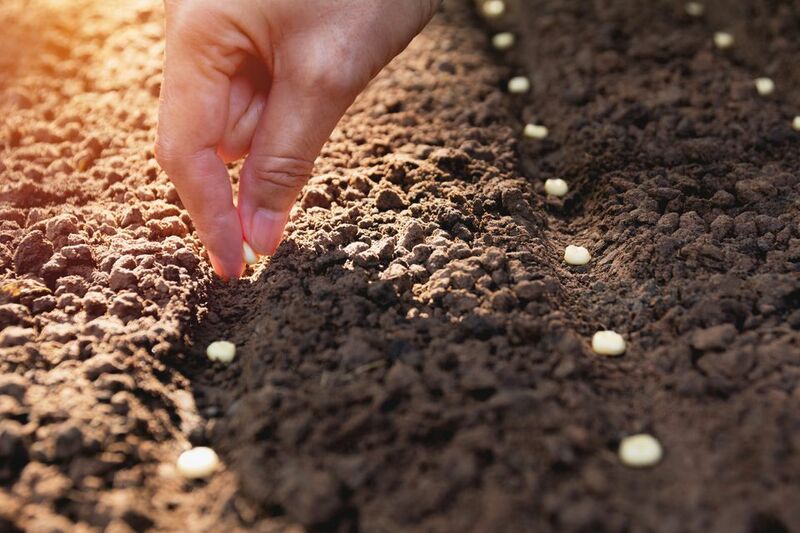 It's an uncertain art, subjected to the whims of weather and local wildlife, but there are a few things you can do to ensure success when you sow seeds in your garden. Start with loose, weed-free, level soil. Take some time to prep the area first by removing all weeds, rocks, sticks, and large clumps of dirt. Loosen the soil with a garden fork, add soil amendments if you have them available, and rake into an even, level surface. Follow seed packet instructions for planting depth and spacing. Some seeds require light to germinate and prefer to be sown directly on top of the soil. Others need to be buried. The general rule for planting seeds is that they should be planted three times as deep as the diameter of the seed. But there's no need to get out the tape measure; seeds aren't all that picky and will often germinate regardless of soil depth. Keep the soil evenly moist. If you do only one of the things on this list, it needs to be this. Nothing hampers germination more than letting your soil dry out. You do need to be a bit careful about how you water, though. A strong blast from the hose will either wash your seeds completely out of the bed or mess up the spacing if you surface-sowed them. Use a "shower" setting on a hose wand or a "rose" fitting on a watering can in order to get a gentle flow of water for your seeds. Mark where you planted your seeds. This is important whether you planted new annual or perennial seeds in an established bed or sowed a few different veggie seeds in your edible garden. Marking where you planted what does two important things: it prevents you from mistakenly pulling what you thought were weeds but, in truth, were your seedlings, and it lets you keep close tabs on how things are coming along. Know what your seedlings will look like. After they've germinated, it's often hard to tell a weed from say, a tomato. There are websites you can reference to see what certain seedlings look like, and some seed packets have photos or drawings on them as well. Knowing what your seedlings look like will not only prevent you from pulling them by mistake but will also allow you to get rid of weed seedlings that will compete with your seedlings for water and nutrients. Direct sowing is economical and easy. And now, you have a few more proven methods to ensure success in your garden.